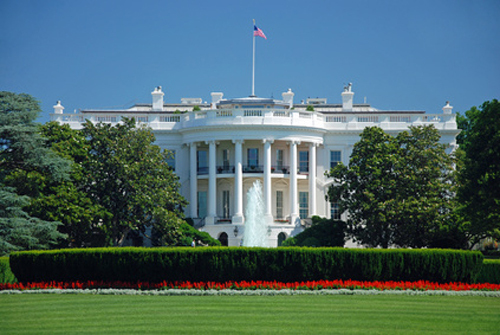 Home Insights Do Presidential Bioethics Committees Shape Science Policy? Panels help frame the debate, but topics are sometimes chosen more because of political pressure than scientific need. When President Barack Obama’s Commission for the Study of Bioethical Issues reconvenes tomorrow, May 18, the agenda will include the Guatemalan governments’ investigations into the intentional infection of people from 1946–48 by the U.S. Public Health Service during research on sexually transmitted diseases. It’s a far cry from the original issue for which the president formed his commission last year—the ethics of synthetic biology research. In taking up the protection of human subjects in clinical trials, the current commission has come full circle, returning to a topic that several of its predecessor panels also grappled with. The first public national body to shape bioethics policy in the U.S. was the National Commission for the Protection of Human Subjects of Biomedical and Behavioral Research, created by Congress in 1974. Since then the problem of protecting people involved in life science research has been debated by several bioethics committees. “Presidential panels have been very influential, but it’s not always obvious to people,” Jonathan Moreno, Ph.D., David and Lyn Silfen university professor of ethics and professor of medical ethics and of history and sociology of science at the University of Pennsylvania, told GEN.
“They set a professional standard, a community standard, and that’s the most important thing. And then sometimes, they stimulate a debate or they participate in a debate, like on stem cells.” Dr. Moreno, a staffer for Obama’s bioethics commission, also served as a staffer for the two Clinton-era panels. Two separate panels formed by President Bill Clinton investigated issues related to research subjects. The latter committee, the National Bioethics Advisory Commission, became better known for offering the first federal report on the topic of stem cell research. Following the creation of Dolly the sheep, the world’s first cloned mammal, Clinton requested the panel provide advice on human cloning within 90 days. On the subject of cloning, President Clinton’s panel declared morally unacceptable any public or private sector attempts to create a human child via cloning, citing safety risks as well as ethical concerns. It recommended both a law against the practice and the continuation of a ban on using federal funds toward that end. Dr. Murray said his goal for the cloning report was to respectfully present the concerns of all who weighed in on the topic, even as it took a stance some would inevitably oppose. “I think we did a pretty good job of that in cloning,” he said. Another ethical hot potato that one of Clinton’s bioethics commissions weighed in on was whether to embrace research based on the then-new application of human embryonic stem cells (hESCs). The panel’s final report included support for research involving the derivation and use of human embryonic germ cells from cadaveric fetal tissue derived from aborted fetuses and research involving the derivation and use of hESCs from embryos remaining after infertility treatments under regulations that include public oversight and review. The report recommended against the purchase or sale of embryos and cadaveric fetal tissue, against funding research involving hESCs from embryos made solely for research purposes using IVF or cloning, and for creation of a federal oversight board to in part establish a database of cell lines and develop protocols for their use in research. That’s no surprise given that Clinton was a Democrat. Also not surprising: when Republican successor George W. Bush established his own panels on bioethics, they tilted toward more conservative and pro-life positions. A 2005 white paper from Bush’s President’s Council on Bioethics discussed four ethically uncontroversial ways to advance hESC research without destroying embryos: Extracting cells through four- to eight-cell embryos already dead; nonharmful biopsy of living embryos; artificially created nonembryonic cellular systems capable of some cell division and growth yet engineered to lack the essential elements of embryogenesis; or dedifferentiation of somatic cells back to pluripotency. The paper highlighted the divide between the Bush administration, which opposed hESC research because they believed that embryo destruction was morally and ethically wrong, and scientists who favored the research because they believed hESCs had the potential to cure disease. Over the past nearly four decades of presidential science and bioethics commissions, Dr. Moreno said, the panels have largely been able to function with some degree of removal from politics. The chairs and members of those panels usually serve without pay and are usually people with backgrounds in science, ethics, or academia rather than in politics. While President Clinton’s bioethics committee set out its own guidelines for cloning, in 2002 President Bush’s bioethics council also produced a report. The referral of the cloning issue to presidential bioethics committees reflects the most obvious source of influence over such panels—agenda-setting by the White House. “When cloning happened, the president said, ‘I want a report on cloning,’ so we had to be responsive to those kinds of concerns. Now the president didn’t tell us what the report should say and as far as I know had no hand in preparation of the document at all,” according to Dr. Murray. Bush’s bioethics council’s 2002 report, “Human Cloning and Human Dignity: An Ethical Inquiry,” recommended a ban on cloning to produce children as well as a four-year moratorium on cloning for biomedical research. But that advice was endorsed by only a 10-member majority; a seven-member minority of the panel issued its own recommendation supporting the ban on cloning for children but calling instead for regulation of the use of cloned embryos for biomedical research. Yet that’s not the deepest rift to befall a presidential commission. That dubious distinction falls to the Biomedical Ethical Advisory Committee (1988–90), which consisted of six U.S. Senators and six U.S. Representatives, divided among the two political parties. That arrangement, intended to reduce political pressure, ended up deadlocking the panel since each faction proved unable to compromise with the other, especially on issues related to abortion. It is a mistake not repeated by later panels including President Obama’s bioethical commission. That panel met its 180-day deadline for completing a report on ethical issues surrounding synthetic biology research, which was sparked by J. Craig Venter’s May 2010 announcement that his team completed a key step toward creating a fully synthetic organism. Obama’s commission is now taking up the decades-old issue of sexually transmitted disease research in Guatemala, with briefings from executive director Valerie Bonham and Guatemala’s vp Rafael Espada, M.D. Protection of human subjects involved in research came to the forefront almost three decades ago when the National Commission for the Protection of Human Subjects of Biomedical and Behavioral Research was set up. It explored the treatment of several vulnerable populations during research, including fetuses, children, and prisoners. Almost a decade later the president’s Commission for the Study of Ethical Problems in Medicine and Biomedical and Behavioral Research developed guidelines aimed at protecting human subjects by securing their informed consent on research. A later panel formed by Clinton’s administration, the National Bioethics Advisory Commission (1996–2001), explored the treatment of research subjects unable to give consent due to mental disorders. Some 30 years after human protection was made a focus for the bioethics committee of that time, President Obama’s bioethics panel will take up the matter once again. The opportunity to shape science policy, limited as it is by White House agenda-setting and the need to address hot issues, will likely continue to draw scientists and others to future presidential commissions. Given the contentious times, presidents will likely continue to seek input largely from those they would agree with, so their panels can move past ideological paralysis and toward action. Alex Philippidis is senior news editor at Mary Ann Liebert, Inc., and Genetic Engineering & Biotechnology News.